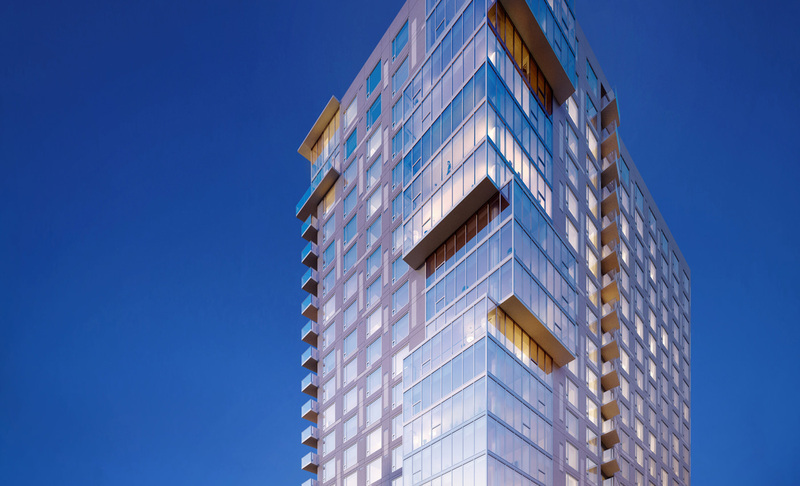 Ground broke last week on developer Trumark Urban’s 25-story condo tower, TEN50, at Grand and Eleventh, and at that event developers announced that this high-rise would have the “first-ever” drone landing pad. 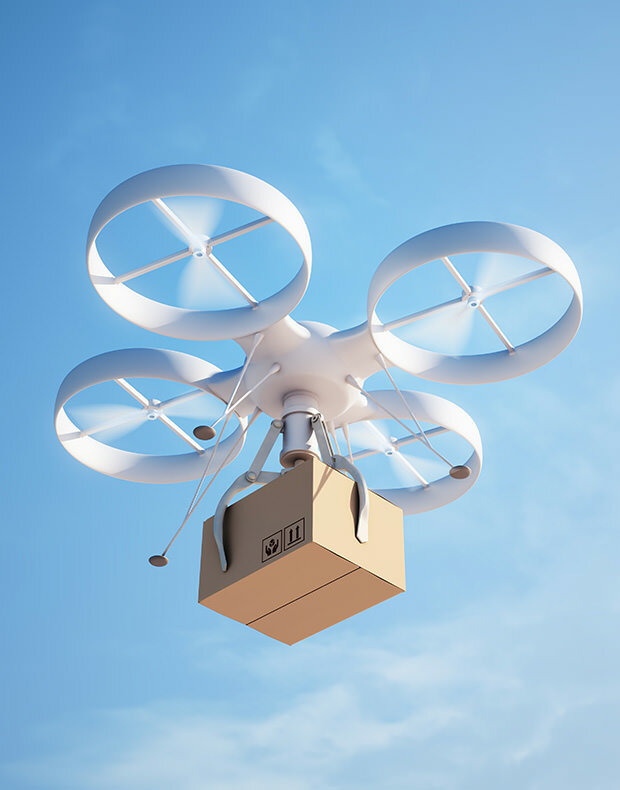 According to a press release, the drone dock was envisioned for deliveries. 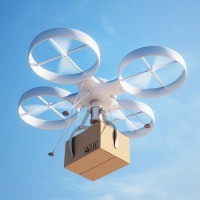 Amazon recently received a green light to test drones outdoors and will eventually, inevitably use them some day in the near future to deliver Amazon Prime impulse buys and groceries to homes and offices. Not wanting residents of the building’s 151 units to be left behind in some FedEx dark ages, Trumark is going to put a special “landing spot” on the tower’s fancy sixth-floor amenity deck. 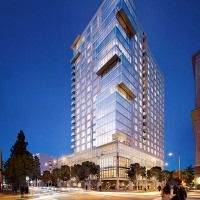 A long-planned 25-story luxury condominium tower in downtown Los Angeles that fell victim to the housing crash is being revived by a San Francisco developer that recently acquired rights to the $100-million project. The downtown condo market stayed soft for years after the 2008 recession, but has finally come back to life. There are only 10 new condos left for sale downtown at the moment and local real estate experts expect them to sell out long before any new product becomes available. TEN50 will include a variety of floor plans including one and two bedroom layouts as well as larger penthouse units with even a few two-level penthouse residences commanding beautiful city views. Residents will also have access to both indoor and outdoor “resort-style” amenities including a cabana-lined pool deck and spa, barbecue grills, fireplaces, fitness center, screening rooms, lounge/conference center, a yoga garden, and even one of the country’s first drone landing pad (if not the first in a residential high-rise) on the 6th floor amenity deck that will be able to accept packages from future drone delivery services. Watch video for demonstration on how it works. 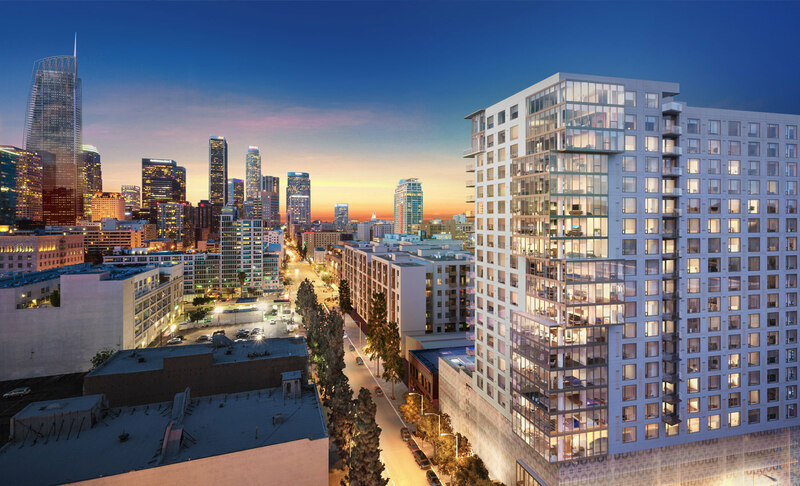 Trumark Urban announced the beginning of construction on TEN50, a new 25-story high-rise at 1050 S. Grand in Downtown Los Angeles featuring 151 stylish residences. 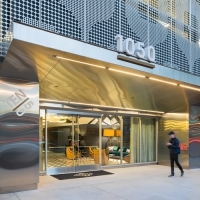 The condominium development located at the northeast corner of South Grand Avenue and 11th Street in South Park signals a new era in Downtown LA living. TEN50 will be the first high-rise condominium tower to be completed there in the past 10 years. 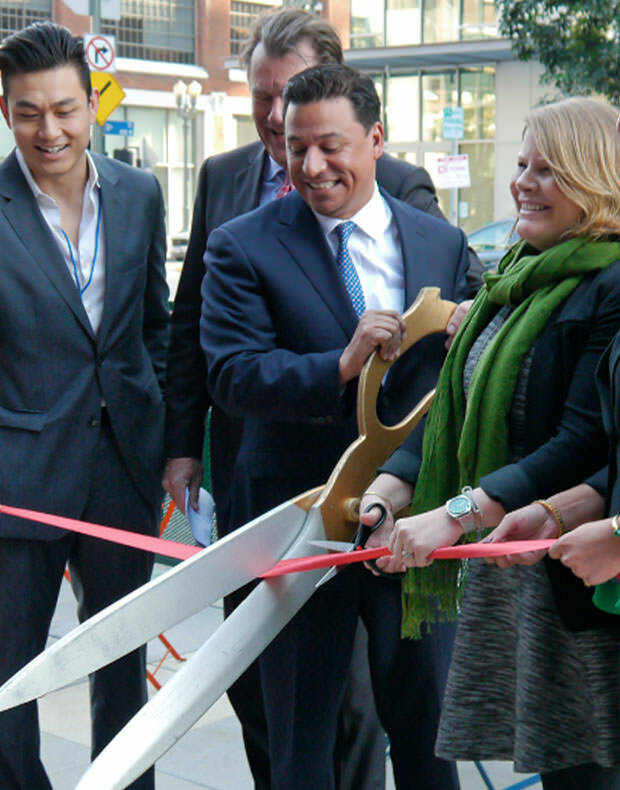 A private, invite-only groundbreaking event held last week brought together city officials, Downtown LA residents, and prominent citizens to ceremoniously commence construction on the project. Trumark Urban’s Managing Director Arden Hearing, along with city officials spoke as part of the celebration, and unveiled building plans and large-scale renderings. 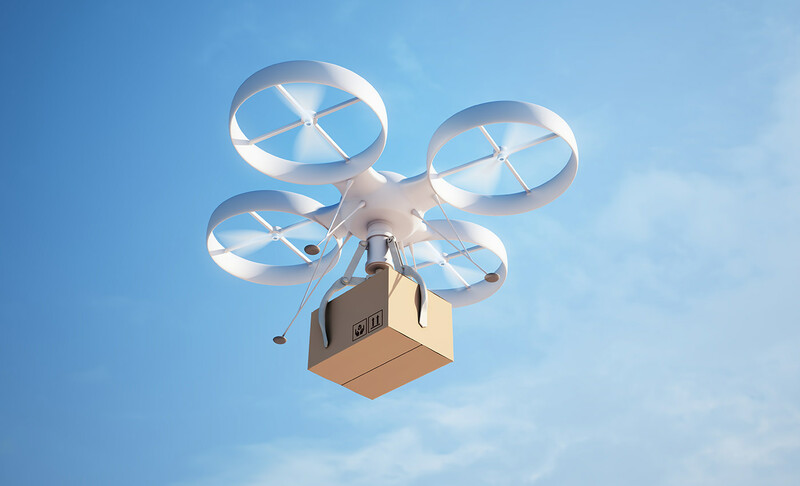 He also revealed plans to build the first-ever drone delivery landing dock. 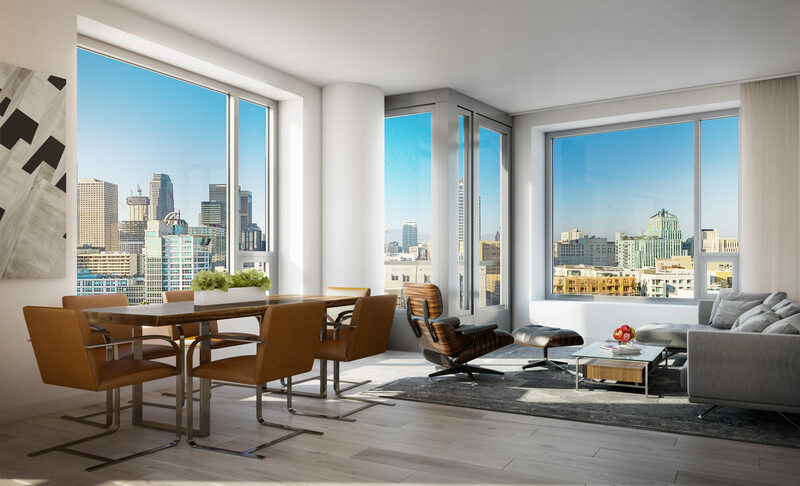 San Francisco-based developer Trumark Urban has released the first suite of images depicting life at TEN50, the luxury 25-story high-rise residential building under development in downtown Los Angeles’ dynamic South Park district, set to open in October 2016. The new visuals highlight the building’s stunning architecture and reveal a thoughtfully curated array of amenities that culminates at “The Fifty,” an exquisitely designed approximately 13,000 square foot indoor/outdoor lounge that flows seamlessly from the resort-style pool to the therapeutic yoga garden with sweeping city views. Positioned on the 6th floor, The Fifty will converge with a state-of-the-art fitness center, intimate screening room, private dining room for hosting events, conference center and the country’s first delivery-ready drone landing pad. 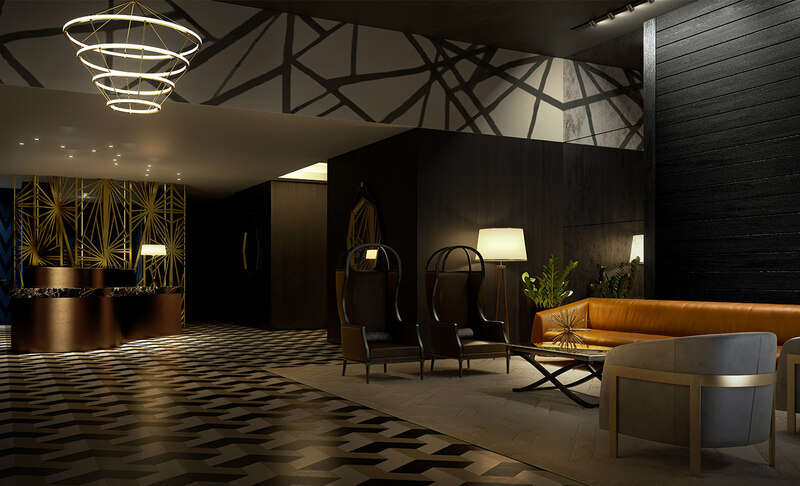 The Fifty will also serve as a welcoming backdrop for a series of resident-inspired events, including exclusive dining experiences in 2016. In addition, homeowners will enjoy the convenience of over 5,800 square feet of retail, located on the ground level of TEN50. Striking a stark balance with the urban environment, TEN50 will also include serene outdoor landscape design by Lifescapes International. The Fifty’s outdoor entertainment area, with layers of water-wise plant material creating a tapestry of colors and texture throughout the pool area. Large trees and palms, such as Tree Aloes, Japanese Loquats, Kentia Palms and dozens of Japanese blueberry trees create a beautiful natural wall. The high-style common areas complement the 151 one- and two-bedroom residences and penthouses that feature an unprecedented attention to detail and craftsmanship, a result of Trumark Urban’s design collaboration with HansonLA. With a selection of many homes offering floor-to-ceiling windows and private terraces, each individual residence will reflect the heritage of the surrounding neighborhood through a rich color palette and carefully selected materials that exude quality and sophistication. 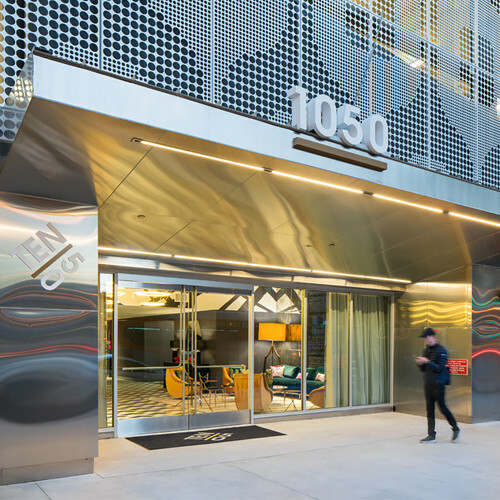 The first new condominium project to be built in Downtown Los Angeles in the past decade, TEN50 will be a reflection of Trumark Urban’s forward-thinking dedication to creating impeccable buildings that strengthen surrounding neighborhoods and shape their positive long-term trajectory. Positioned in the heart of South Park, TEN50’s unique location places residents just minutes away from the best L.A. has to offer in art, culture, entertainment and retail along with more than a half million jobs now in the adjacent Financial District. Residents will be within a short walk of L.A. LIVE and downtown’s historic core, which offers precisely what urban dwellers seek – art galleries, new bars, lounges and boutique high fashion. Whole Foods has also bought into the rebirth of downtown, with one of their newest concept stores opening just three blocks from TEN50 later this year. Construction at TEN50 continues with concrete being poured for The Fifty early this month. Sales for TEN50 will commence in early 2016 with the opening of a property-adjacent Sales Gallery that will include residence finishes and virtual interactive displays. DTLA – Arden Hearing can see Downtown Los Angeles’ growth through the rising numbers: the cost of land, the average price for a condominium, the residential population, and the units of new housing. But it’s the firsthand observations he’s made on foot that put the changes in context. Trumark is building the 25-story TEN50 condominium building at 1050 S. Grand Ave. The development, which will feature 151 one- and two-bedroom residences, was first broached before the recession. It stalled, then was revived when Trumark Urban acquired it in June 2014. The $100 million tower, the company’s first Los Angeles project, is slated to open next October. Pricing has not been revealed. Hearing sat down with Los Angeles Downtown News to discuss the project, the community and the market. 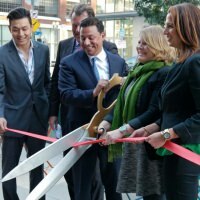 Los Angeles Downtown News: Why choose Downtown for Trumark’s first L.A. play? Arden Hearing: There’s vibrancy and energy that’s been infused into Downtown with smart urban planning, new restaurants, new retail and new residents. But if you don’t want to pay $4,000 or $5,000 [a month] to a landlord and you’d rather buy your own condo, and you like new buildings, you cannot move into a place like that Downtown. We see demand there. Q: Why haven’t more condos been built here? A: I’d say condos are a more difficult product from a financing perspective. It’s not a popular thing to do for financial partners, whereas apartments certainly are. Institutional capital — pension funds, insurance companies and the like — have flooded into apartments. It’s lower risk, and it provides consistent yields. With condos, you get one chance. You finish your building and you’re extremely exposed to the economy at that moment. You have to fight to finance condos. But because of that, we see less condo supply, and we take comfort where there’s less supply. Q: How will TEN50 stand out from condos at South Park mega-projects such as Metropolis, Circa and Oceanwide Plaza? 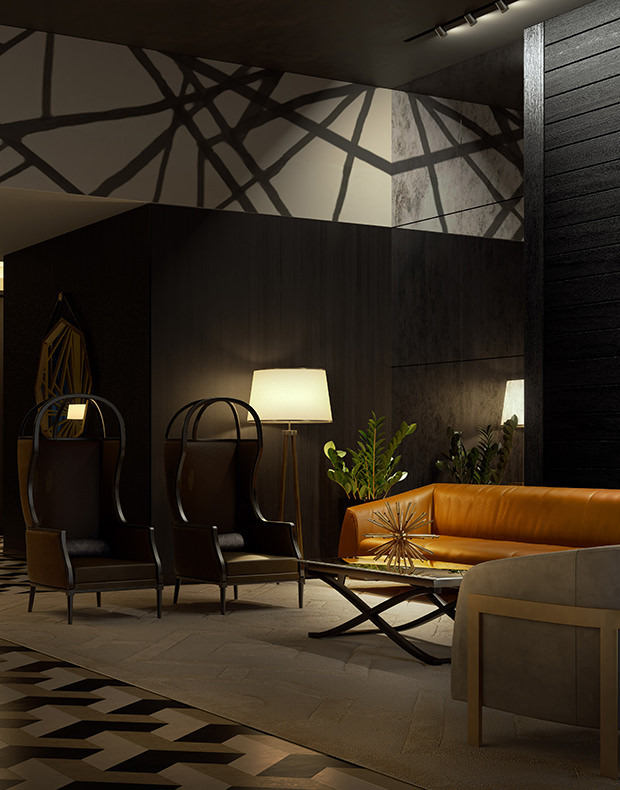 A: The vision for TEN50 is a boutique, intimate high-rise experience. We think it’s an approachable size, where the concierge will know you when you come home at night and you can engage with your neighbors and hang out at your local sandwich shop down below. Some of the large, glassy condo tower complexes being built in the L.A. Live area have a much different vibe. Also, our units are tilted to the smaller end, so they will probably be more affordable by design. Q: All these luxury projects have sparked debates about Downtown’s diversity and affordability. Is this something a developer should think about? A: I do feel it’s a responsibility of the development and planning community to think about how to catalyze diversity, because it’s a critical component of the neighborhood. People talk about inclusionary housing requirements. As long as we know in advance and the playing field is level, we can plan for it. If a policy for affordable units existed, it could be better for the neighborhood. Over time, if you look at other markets that have embraced inclusionary housing, from New York City to San Francisco to San Jose and elsewhere, you can see it has not stymied development. Q: What does L.A. need to keep working on in terms of its development climate? A: In San Francisco we have parking maximums, not parking minimums, and we believe that’s the right way of thinking. We would love to do less parking, which is so expensive. In a 25-story tower, we have six levels of parking. It’s a super inefficient building on a gross square footage basis. We have about one stall per bedroom. With the same building with the same available services and transit in New York or San Francisco, we would probably build a quarter of the parking. 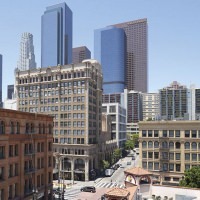 DTLA – In the years after the recession, lending standards loosened and developers began proposing plans for major Downtown projects. Although some of those arrived last year, the biggest wave is yet to come. 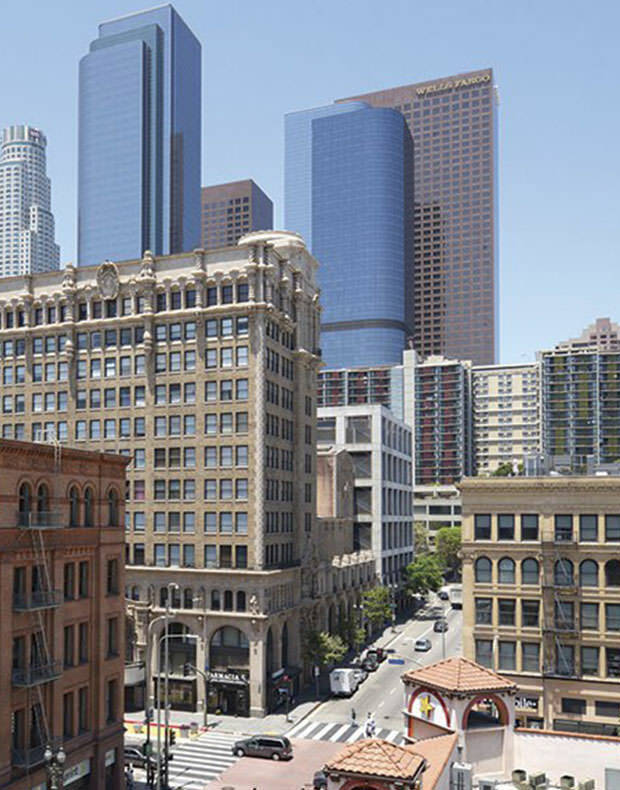 In 2016, Downtown Los Angeles will welcome a number of housing projects, including several for-sale developments. The residences will be joined by cultural attractions and business hubs. Here are 11 of the biggest additions coming to Downtown this year. 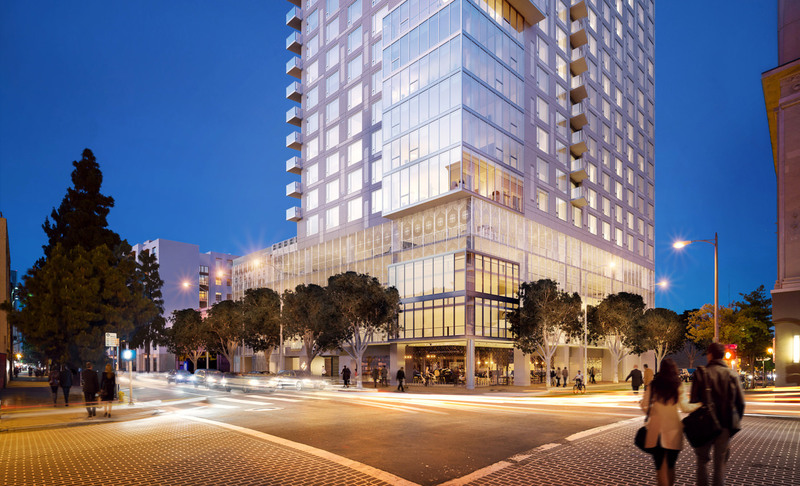 On the Rise: One of the most anticipated projects to open in 2016 will be Ten50, the 25-story condominium building at 1050 S. Grand Ave. in South Park. 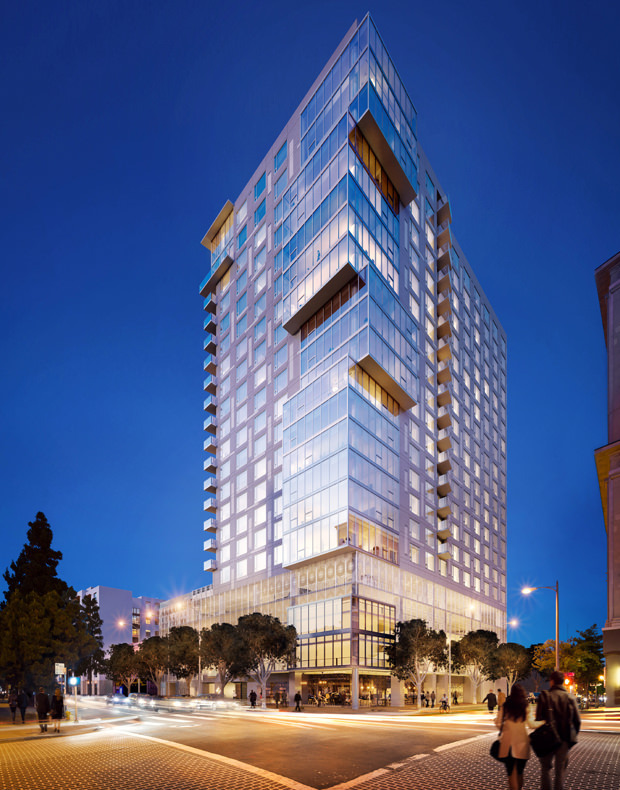 It is the first Downtown project from San Francisco-based Trumark Urban, and is slated to debut in October. Ten50 will deliver the first batch of new-construction condos to hit the market in years, and the tower will feature 151 one- and two-bedroom residences, with amenities such as a pool deck, a fully stocked gym and a screening room. The $100 million project was initially broached before the recession and stalled. Trumark Urban bought it with entitlements in June 2014. 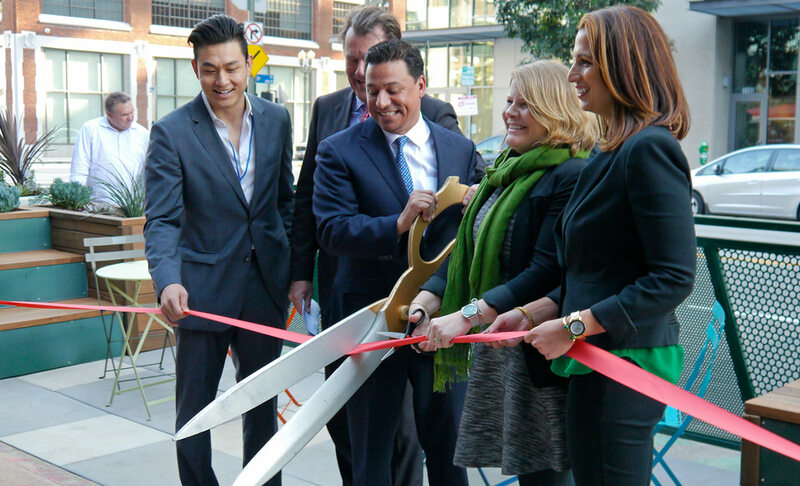 Downtown residents, community leaders, greenspace advocates and members of the media braved the cold yesterday morning to celebrate the opening of the Hope Street Parklet — South Park’s first and Downtown Los Angeles’ third. Located on South Hope Street just south of 11th Street, the parklet fronts a parking garage that was recently reonvated to include new ground-level retail space and across the street from tthe venerable Desmond Warehouse, now home to the offices of AEG Live. It’ll be months before the drone landing pad is installed to complete construction of downtown L.A. luxury condo tower TEN50, but potential buyers are already swarming the building. In fact, well over 1,000 people have registered interest to buy one of the 151 units being built at 1050 S. Grand Ave. Considering the strong demand for the complex – the first batch of new condos downtown in years – it’s probably no surprise that units won’t be cheap. 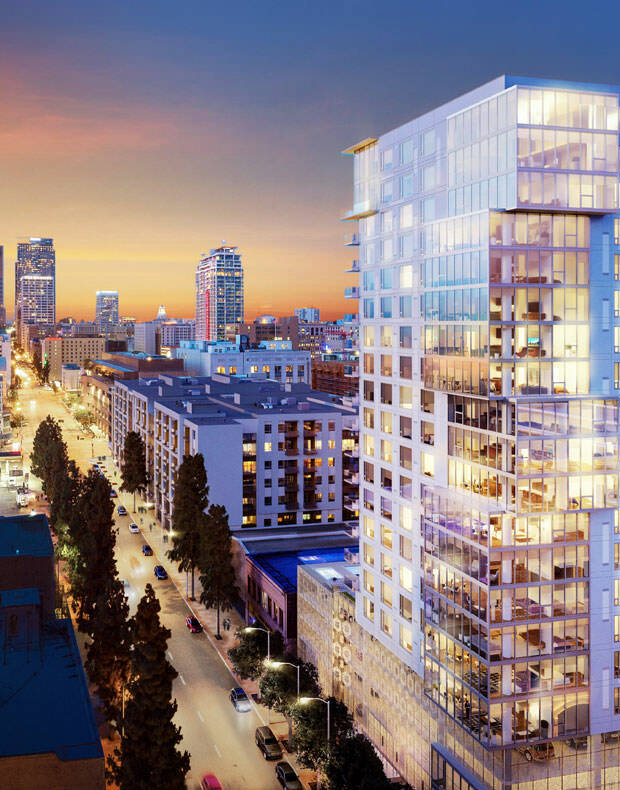 The San Francisco developer behind the project, Trumark Urban, has given the Business Journal the prices exclusively – and they’re high. A 700-square-foot one-bedroom condo will start in the low $600,000s while a roughly 1,000-square-foot two-bedroom unit would cost nearly $1 million. Several penthouses will be available that could set buyers back more than $5 million each. On average, a luxury condo at TEN50 will cost between $900 and $1,000 a square foot – but the price will vary based on the particular view each unit offers. 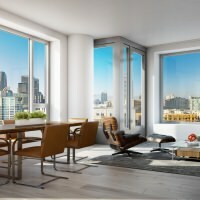 For comparison, the average cost for a new condo in downtown was $803 a square foot in December, according to the Mark Co. in San Francisco, which tracks condo activity in urban areas. Construction of the 25-story tower won’t be finished until October at the earliest, and the process of taking deposits has not yet started. 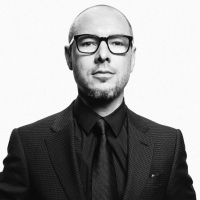 But TEN50 is attracting interest from a wide range of potential buyers, according to Arden Hearing, Trumark Urban’s managing director. A sales gallery – complete with vignettes of kitchen and bathroom layouts and video renderings of the project – is set to open Feb. 13 at 1057 S. Olive St., next to the construction site. Sales, however, won’t start until April 16. Until then, Greenland USA’s $1 billion Metropolis project remains the only new condo development under construction selling units downtown. However, while sales have begun there, the first batch of condos aren’t expected to be available until December – two months after TEN50 opens. 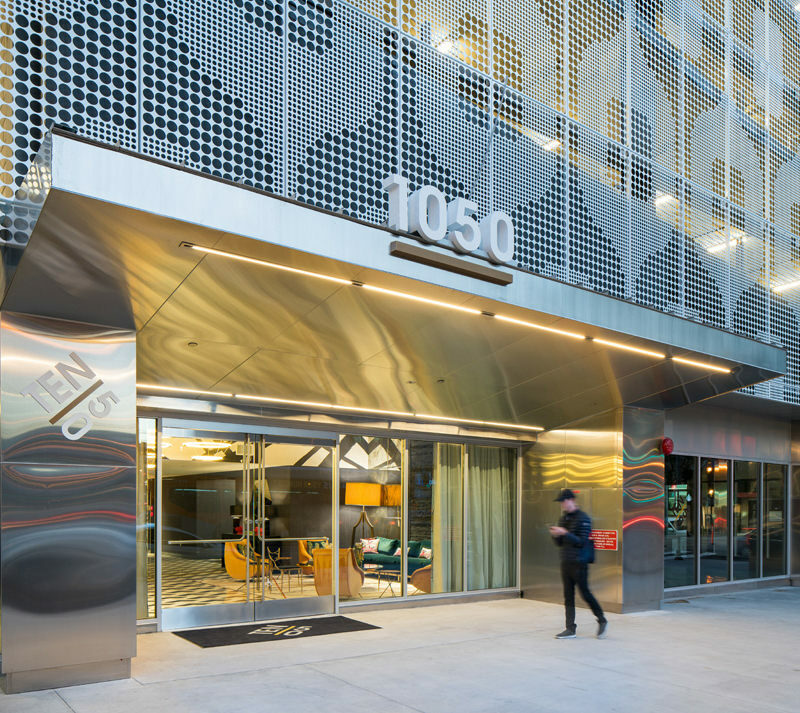 That lack of competition is poised to create even more demand for TEN50, especially from those who want to move in sooner rather than later – and prefer to own, rather than rent, Hearing said. Trumark Urban partnered with the Carlyle Group, a private equity firm in Washington, D.C., to buy the land in 2014. But plans for a 25-story condo tower were in place long before the joint venture took over. The site’s former owner, Amir Kalantari, sought to build his own 151-unit complex, which he got approval for about a decade ago. But the housing crash put a damper on those plans. Trumark Urban eventually acquired the rights to the $100 million project. And because the site was already approved for condos, the developer has been able to move fast. The firm broke ground on the project in March. And by last week, construction crews were scheduled to begin pouring concrete for the tower’s 14th floor. 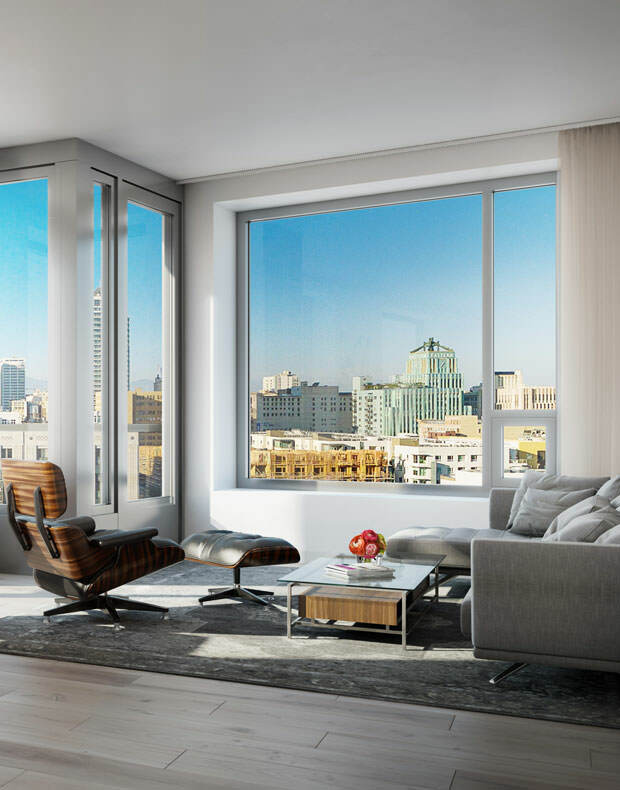 Including those at TEN50, about 1,700 condo units are under construction throughout downtown and an additional 3,000 are approved, according to Polaris Pacific, a residential sales and marketing firm in San Francisco. Though it’s an increase from the condo activity seen in recent years, it falls well short of the 7,750 apartments under construction and the additional 4,820 approved rental units. Even older, previously owned condos are in short supply. In December, for instance, only 94 units were listed on the market, according to the Mark Co.
At that rate, if the condos continue to sell at the same pace, the available homes would vanish within three months, according to the firm. A six-month supply is considered a balanced market, meaning neither the sellers nor the buyers have an advantage. 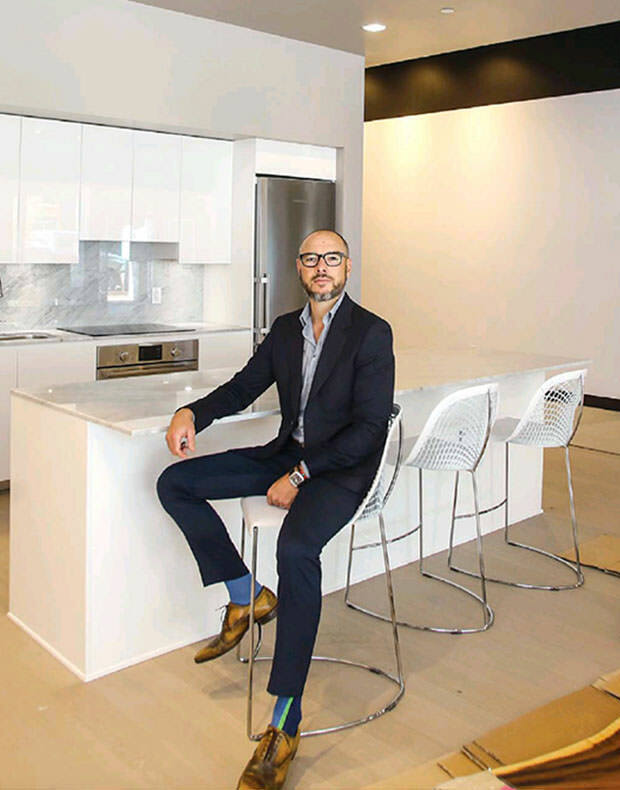 The lack of supply is largely because condo developments – much like the one previously planned on the site of TEN50 – came to a halt during the recession. Many developers and investors saw more value in the strong rental rates downtown, while lenders became far less willing to finance such projects, said Erin Kennelly, director of research at the Mark Co. But, she added, that has certainly begun to change in recent years. With nearly 68,600 apartment units available downtown – and the average asking rent for a two bedroom at $2,130 a month, according to real estate information firm CoStar Group Inc. – it simply made less sense for investors to develop condo projects downtown instead of apartments. But demand for condos has finally grown to the point where it’s much more viable to build for sale residences to compete with the popular rental market. The average cost for a unit in the Metropolis mega development – which will include three towers of condos, a boutique hotel plus retail and restaurants – is about $1,100 a square foot. But perhaps more importantly, the units are selling. 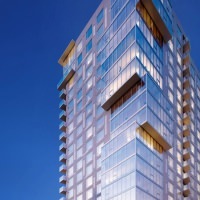 Of the 308 condo units under construction in the first Metropolis tower, which went on sale inApril and are expected to be done by the end of this year, 235 – or 76 percent – were under contract as of last month, according to Polaris Pacific. In addition, since the 520 units in the second tower hit the market in October, 30 have been claimed. Meantime, Beijing developer Oceanwide Real Estate Group plans to add about 500 units to its $1 billion mixed-use large development Oceanwide Plaza. That project broke ground in April but its condos have not yet gone on sale. 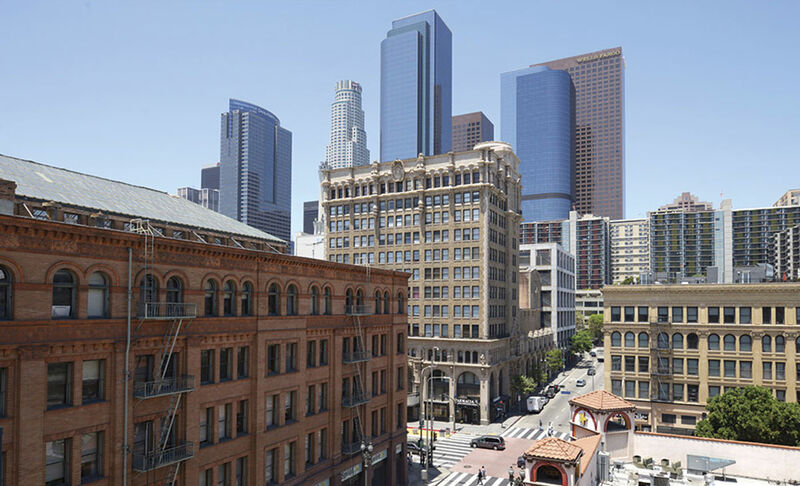 Downtown los angeles is getting a makeover to the tune of $16.5 billion in new development. Changes includes the addition of a slew of mixed-used projects combining ground floor retail and upper level living, a new Whole Foods supermarket, sprouting indie restaurants, three just-launched breweries, art galleries, boutiques and the revitalized Grand Central Market. Apartments are clocking in at a furious pace as more than 10,000 units are slated to be built and fill pent-up demand. New construction includes Greenland USA’s three mega-towers at Metropolis in South Park, representing a $1 billion investment. And on downtown’s northern edge, the Arts District offers hip lifestyle options from the blocks-long One Santa Fe to the Garey Building’s upcoming 320 apartments. “The majority of new development is going to be residential,” says Hana Cha, managing director of the Agency’s new development group, exclusive listing agents for the Staples Center-adjacent Oceanwide Plaza that will include two condo towers when completed. Condo prices in downtown L.A. were up 15% in 2015 and overall, property values have risen more than 150% over the last 17 years, per statistics culled by the downtown Business Improvement District. Ultimately the slew of buildings on the boards will offer buyers increased selection as projects like Metropolis and Trumark Urban’s TEN50 welcome owners. 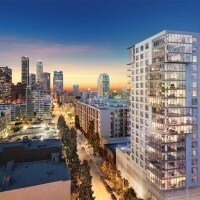 Greenland USA’s Metropolis is slated to open later this year: the 6.3-acre, 1,500-unit project north of L.A. Live will encompass a 38-story residential tower and a 350-room Hotel Indigo. Within the same mega-project are 40- and 56-storey towers; currently residences range from $590,000 to $2.3 million (excluding penthouses). “Buyers are as diverse as Los Angeles’ population,” says Metropolis VP Tami Scully. She adds that 70% of the first tower’s residences are under contract. Demand has risen as no new condos (as opposed to adaptive re-use projects) have come to market since the Ritz-Carlton Residences’ completion. In the past, few high-profile showbizzers lived downtown, although Johnny Depp, Diane Keaton, Vincent Gallo and Nicolas Cage have been linked to marquee properties like the Eastern Columbia Building and Biscuit Lofts. For now, industryites are primarily visible at the annual Emmys kudofest, sporting events (Lakers/Clippers/Kings) and as cultural benefactors. Also, the members-only Soho Warehouse (a Soho House outpost) will open later this year in the Arts District. Current residents, like dancer-choreographer Marc Spaulding of One Santa Fe, exemplify downtown’s lure for talent: “It’s stimulating energy goes hand-in-hand with creativity,” says Spaulding. “It’s not a cookie-cutter space,” adds entrepreneur Arnold Myint of his historic core loft residence. Dave Kessinger of the Arts District’s Kesspro Studios has seen an “explosion” of businesses. “There’s now so much infrastructure for living down here, people don’t have to go anywhere else,” he says. 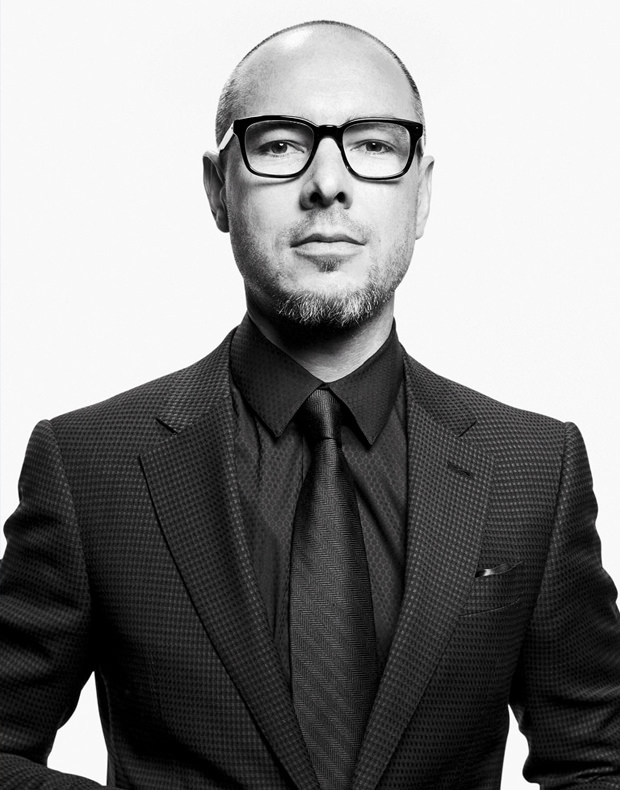 “The market is restoring itself,” says Mike Deasy, CEO of Deasy Penner & Partners. “Until recently it’s been a conundrum: will luxury buyers buy without the amenities they would expect and will amenities go there without condos?” Deasy is repping a 2,100 sq-ft. penthouse atop the 1898-built Douglas Building for $2.1 million. With its exposed structural elements the residence is a classic example of adaptive reuse.